Our favorite sweetheart Maddy has made a come-back with Irudhi Suttru in a brand new avatar this time. With the film rocking it at the box office and earning laurels from many, here are 6 well-justified reasons on why Maddy is at his best in the venture. 1. Maddy as a boxing coach is a rebel right from start. This new side to him lends the character a cutting edge. 2. The salt and pepper look coupled with rugged muscles makes him smoking hot and a delight to watch. 3. Maddy portrays a character of his own age and has shed off his chocolate boy image. His character is loaded with substance and weaves the story tactfully. 4. Madhavan’s body language, ‘I know it all’ smile and raw sexiness makes the character stand out at places. He has established himself as a strong character of substance once again. 5. Though he has bad mouthed the other characters in the movie, it is good to see it being projected boldly on screen without a filter. What’s even more ironic is the fact that they’re true. Well, what’s wrong in calling a spade, a spade? 6. This character doesn’t involve running around the trees or canning steamy mushes hence it is laudable that Maddy has stepped out of his comfort zone and catered to the varied audience. Go catch the movie in theatres to feel the knockout punch. Director Bala Will Release The Audio CD Of Madhavan's Irudhi Sutru And Suriya Will Receive It. 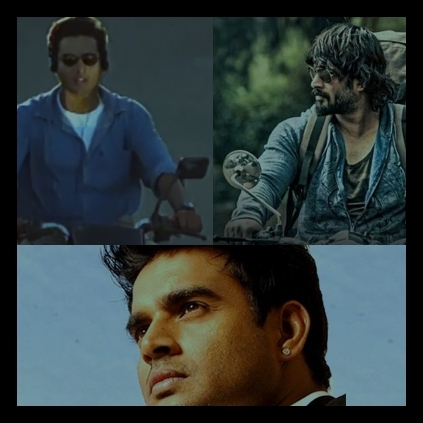 R Madhavan Starrer Irudhi Sutru To Release On January 29th, 2016. Irudhi Suttru – Boxing The Love!! People looking for online information on Irudhi Suttru, Madhavan will find this news story useful.